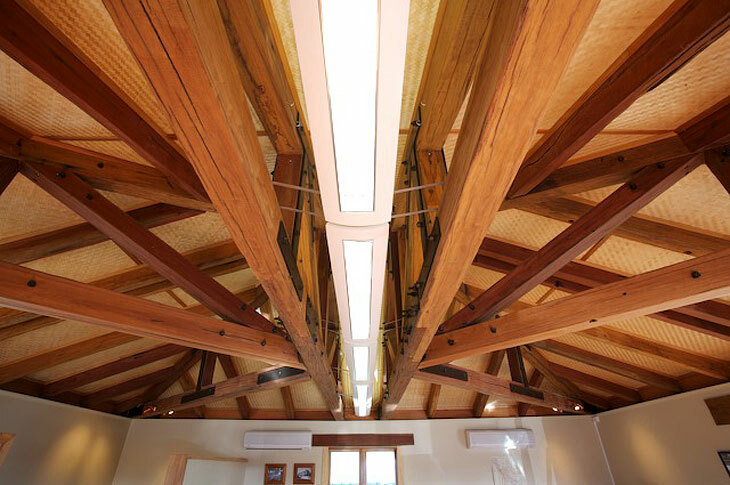 Our recycled Australian Hardwood Beams are sourced from old power poles. There are literally hundreds of varieties of Australian hardwood; we categorize the timber by their predominant colouring and/or a guesstimate of which species that timber is. These may include Ironbark, Jarrah, Tallow wood etc. The characteristics of the species are very similar with regard to their strength and load bearing capacities. Please contact us for specie characterization information for council requirement. Our supply range is variable due to its recycled nature, but we can usually supply anything from 100x50 to 300x300 and sizes in-between. Round posts are also available. To supplement available sizes laminated beams are an option. Laminating can increase width and/or length. The process involves cutting the required pieces, gluing them together, and then bolting them together. Australian hardwood is available in a range of colours. These include reds, browns, and yellows - it should be noted, that exterior use will always turn timber grey. As we are unable to determine the precise colour of a beam until the milling process has already begun, it can be difficult to supply specific colours. Please discuss specific details regarding colour, appearance and sizing with Joe or Andrew to avoid disappointment. The beams have a wide variety of uses, including: exterior pergolas, roofing trusses, overlay flooring, posts, beams, and other structural uses. 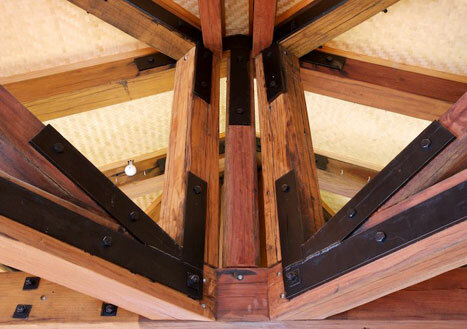 The photographs show recycled Australian hardwood beams built into exposed roof trusses in our office at 75 Huia Road, Otahuhu. Come in today to get a free quote on your next building project. 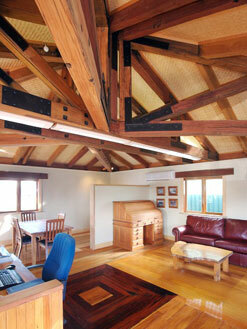 © 2010 Kauri Warehouse Limited. All Rights Reserved.